Special pre-order offer on now! It doesn’t matter how old we are, where we are from or who we are. Music is part of our lives. From the simple everyday moments to life changing moments, we believe life should be experienced to the fullest without compromise. A life full of indescribable emotions and sensations that are elevated to the highest level regardless of where you are. The AxiomAir N2 can be connected via Bluetooth or by joining the WiFi Hotspot generated by the N2 itself. The beach has never sounded so good. Control is in your hands. 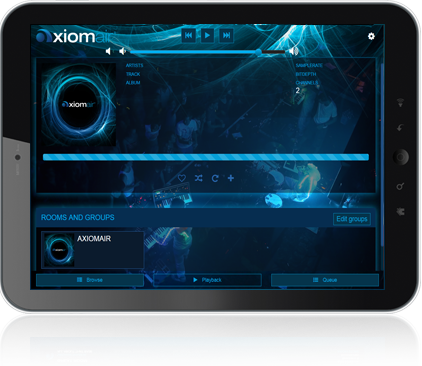 The AxiomAir App/User-interface gives you access to songs stored on a USB Drive or on a NAS, to WebRadio, TIDAL, and much more. 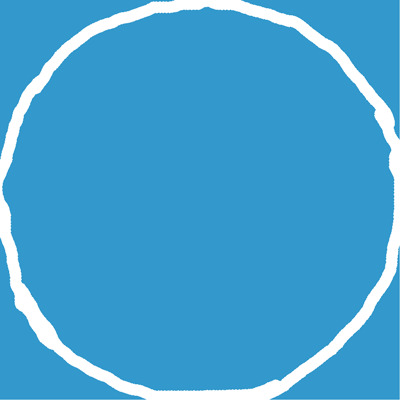 You can access it from any smart phone, tablet, or computer. The user-interface was designed to be a convenient way to access all the features of your N2. From here you can select which AxiomAir you wish to control, group them together if you like, switch to the Analog or Optical inputs, and control the volume. The user-interface is also where you can rename your AxiomAirs around your home, check for Software Updates, and generally customize your AxiomAir. Say hello to a whole lot of power. 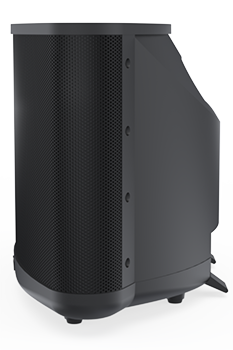 The AxiomAir N2 has a built in 100 watt amplifier to make your party rock. Add the optional 9 hour battery and you are set to take your party with you no matter where you go. The top of your AxiomAir N2 is interchangeable. Check out the Customize Yours link above for all the possibilities to make your N2 blend perfectly into your décor. AirPlay, iPad, iPhone, and iPod are trademarks of Apple Inc., registered in the U.S. and other countries. There are many places where you might want to enjoy music on your AxiomAir that are out of range of or lacking a useable WiFi network: at the dock, on the beach, on a camping trip, etc. 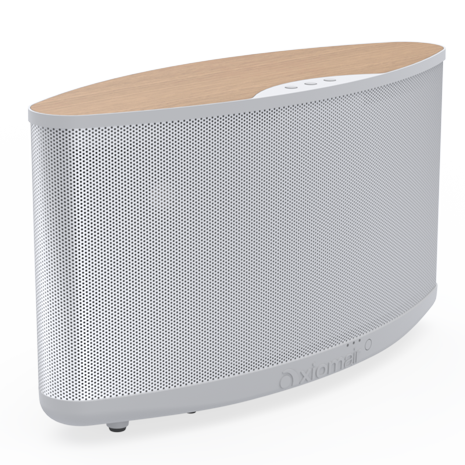 To make sure that you can still enjoy your music, the AxiomAir has both Bluetooth (available all the time) and a built-in WiFi hotspot (automatically becomes active when out of range of your home network). When the hotspot is available, your AxiomAir will appear as an available WiFi network on your device’s WiFi or network settings. To connect to the AxiomAir WiFi hotspot, simply join the AxiomAir-xxxxxx network. Once connected you will be able to play music from a USB Drive or resident on your phone, tablet, or computer.